There are many occasions when a truck rental can be of great help. We offer a diverse range of rental trucks including moving trucks, transporters, and cargo and passenger vans. All of these vehicles come in different sizes making it easy to find the right rental van or truck, no matter the size of your load. Rent a truck* with Sixt and have the means to reliably take care of your transportation tasks. See our truck rental locations below. *Trucks are not available in the US. A moving truck rental can help you save on costs and stress when relocating. Undertaking the effort yourself means not having to pay extra expenses and not having to worry about your things during transit. Get your furniture and personal items safely and securely to their new destination and rent a moving truck with Sixt. If you think a truck may be too big for the job, take a look at our van rental options. 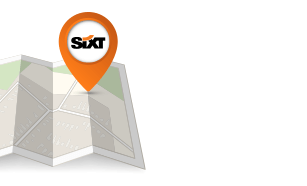 Sixt provides a range of options for passenger van rental in at some of our US locations. If you are planning any kind of family or group travel having a passenger van will make the trip more feasible and fun. From smaller models to 7, 12 and 15-seater person passenger vans you can make sure there is room for everyone and everything with the options offered by our fleet. Instead of trying to coordinate a multiple vehicles save time and resources by putting everyone together in one clean and comfortable van. With the spacious comforts provided by a passenger van rental from Sixt all kinds of outings and excursions are easy to organize and undertake.